Participants of a CEPF-funded climate change resilience workshop in Burundi. 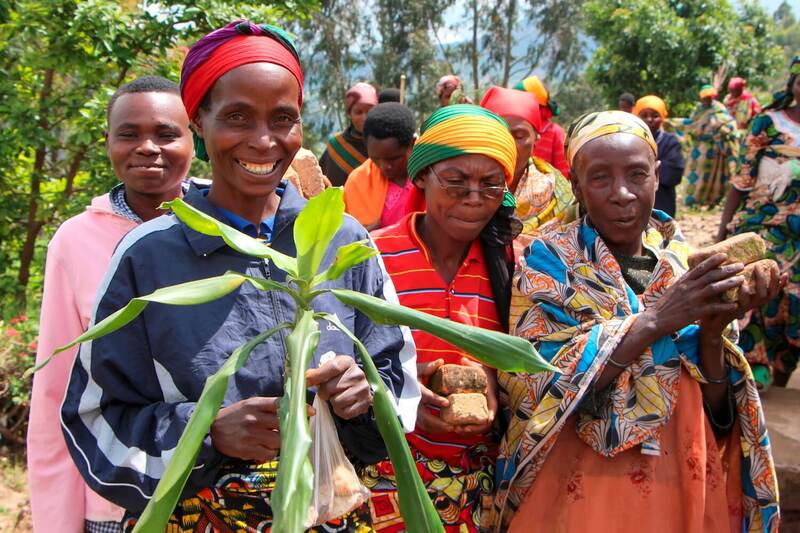 Gender can influence who uses, has access to and owns natural resources. Therefore, considering gender can help determine who participates in and benefits from a conservation project. These considerations can ultimately affect a project's long-term success. For these reasons, CEPF developed a gender policy, and strives to ensure that when we engage civil society in protecting biodiversity hotspots, we do so through a gender-awareness lens. This means that CEPF Secretariat staff, regional implementation teams and grantees aim to understand and take into account the different roles of men and women in CEPF-related activities at all scales. Gender issues and considerations are actively incorporated throughout the grant-making process and we monitor progress on gender-related outcomes. CEPF requires all grantees to complete a gender tracking tool at the start and completion of their projects. This is a self-assessment tool that can be used by an organization to understand if, and to what extent, gender considerations have been integrated into its program and operations. The Gender Toolkit is a comprehensive resource on gender as it relates to conservation that can be used at any stage of your conservation project. If you have questions about CEPF's gender policy, please contact us at cepfmeou@cepf.net.